Fell Foot Park on the shores of Lake Windermere is to be transformed, thanks to a Heritage Lottery Fund (HLF) grant of around £684,000 made possible by National Lottery players. The news, announced by Heritage Minister John Glen while on tour of Cumbria today, will mean that the National Trust, owners of the site, will be able to restore key elements of this much-loved country park as part of a six-year wider National Trust masterplan to turn Fell Foot into a flagship destination in the North. Visited by over 150,000 people a year, this popular but under-resourced park originally formed the majestic grounds of an early 19th Century Lake District villa landscape, framed by crags, ancient woods and water on the south-east shore of Lake Windermere. 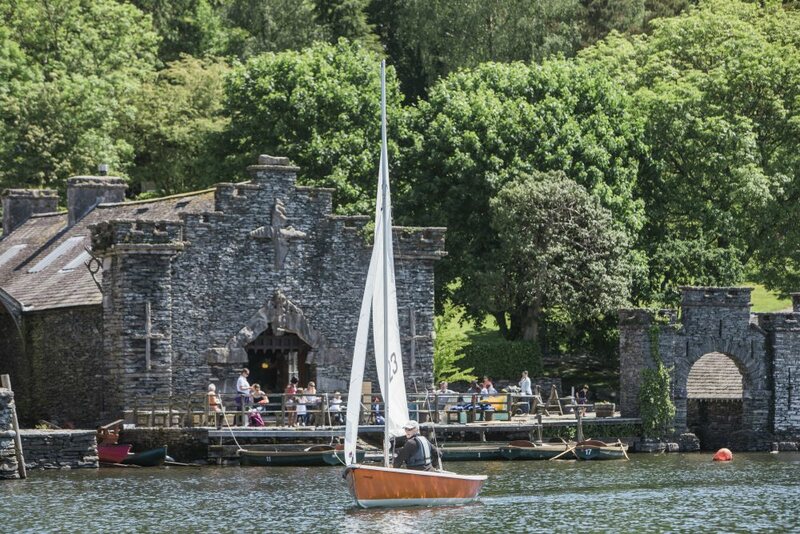 While the villa has long since gone, its boathouse complex (one of the largest surviving in the Lake District) and arboretum remain, and it is these historic features, along with restoration of the parks landscape and improved visitor access, that National Lottery funding will benefit. Fell Foot features sweeping lawns, rowing boats, a café and shop. Activities currently include wild play, family camping, swimming and running events. The park is one of the few places where the public can access the southern half of England’s longest lake, now in a new UNESCO World Heritage Site. The Fell Foot project will involve the conservation of five boathouses, making them flood resilient and suitable as multi-use community spaces. The Gasometer Cottage will be restored to provide office space and a reception area, the arboretum and park landscape restored (including new pathways and better drainage), while access to the waterfront will be improved and visitors will be able to enjoy new sheltered spaces and play facilities. The National Trust will also create four new jobs and 8 volunteering roles to run the project. Heritage Minister John Glen also visited National Lottery funded projects at the Wordsworth Trust and the Windermere Jetty Museum while in Cumbria.